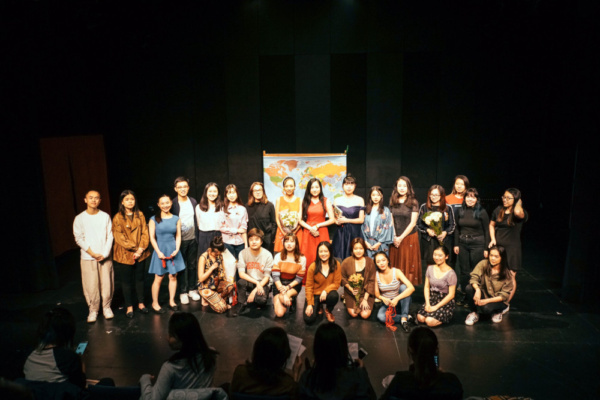 There’s something magical about hearing these 99 Women from all over the world telling their stories, They come from various backgrounds yet share the same identity — ‘woman,’ but this identity has such different meanings for each of them. 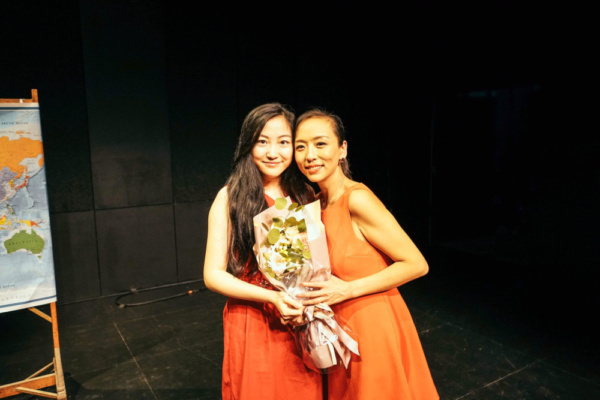 Is “woman” a collective identity?” 99 Women does not promise to provide answers, but rather, seeks to complicate the audience’s understanding of what it means. 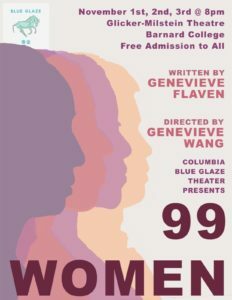 99 women by Genevieve Flaven, directed by , opened at the Glicker-Milstein Theater on November 1st, 2018. 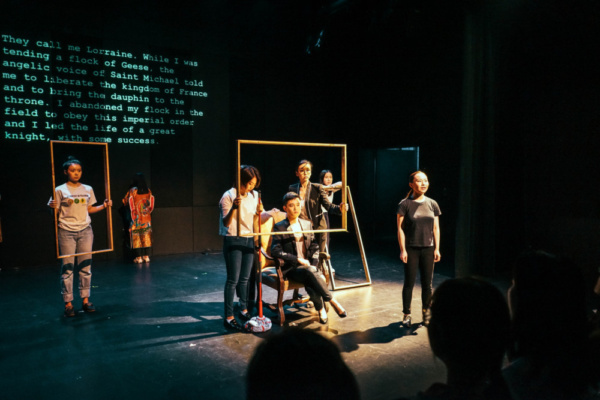 This production with Columbia Blue Glaze Theater explores what it means to identify as a woman in contemporary times. Extract from Yaniv Goren report : The boldest thing about 99 Women is its scope. The stories it weaves together are not just real in a descriptive sense, but in a literal sense. They are culled from the testimonies of urban women across the world­: some disgruntled, others empowered, and many simply trying to beat the odds, to achieve their goals without pausing to parse their emotions or discuss their lives in any terms other than detached observations. They represent several continents, three languages, and almost every age-group, profession, and personality imaginable. To me, the 99 stories in 99 Women ­– almost soundbites, each usually under thirty seconds – represent a couple of things. 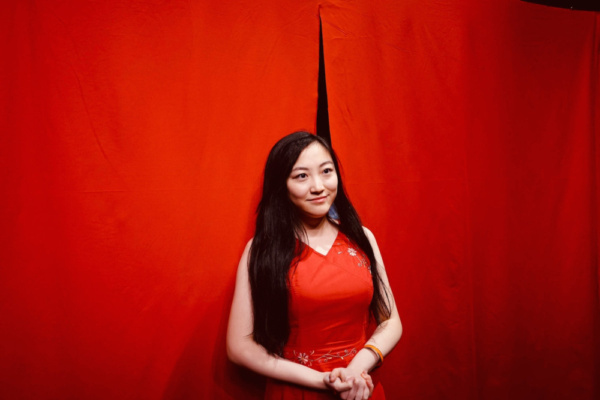 First, they’re a testament to the variability of womanhood: the fact that every woman’s story is unique, not generalizable, and nearly impossible to connect to another. Second, they emphasize the importance of storytelling in the first place. Several of the women in this play are dead. Yet they live on through the words they once spoke, which pass along the rhythms and cadences of their voices to an audience that will never get to speak to them in person. Cast: Jiexin Cai, Moshan Guo, Toni Kim, Lisha Meng, Tianjiao Sheng, Sylvia Su, Zheying Tang, Zerui Tian, Andie Wang, Lu Yin, Naxin Yin, Moli Ying, Fan Yu, and Camille Zhu. 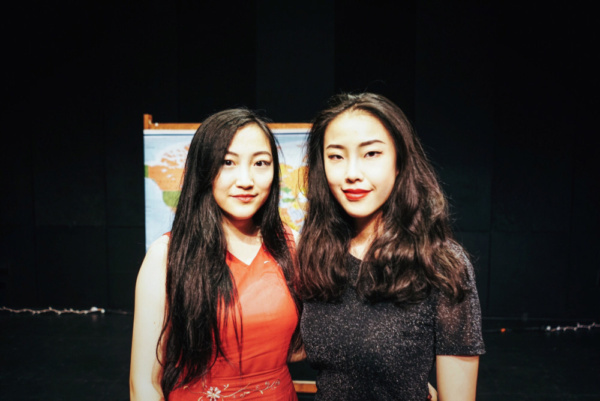 Production Team: producer: Becca Qiu, Assistant producer: Claire Chen, Stage manager: Pinhong Wu, ASM/assistant: director Asteria Liu, Assistant director: Crystal Xie, Set designer: Bella Tincher, lighting.